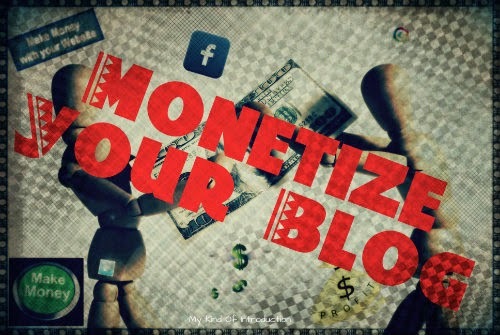 If your a blogger who's looking to make some extra cash from all your hard work and have been considering stepping toward Monetizing Your Blog - Then you've came to the right place!! I've created a nice little collection full many different opportunities that can help you make the best out of all the hard work you put into your blog(s). Included in the list below you'll find many Affiliate Programs, Sponsored Posts, Paid Tweets and much more. ready to dip their toes into the "Money making blogger business." You MUST first join the ShareASale Affiliate Program first. merchants to sign up with. Only a select few are listed below. Skimlinks -- A bit different than your normal affiliate network - Instead of placing pre-made banners and links onto your site, you can chose a few different options that include: Creating your own links for any of their thousands of merchants that they work with, install their simple code onto your site and allow Skimlinks to search and place the needed tracking information for you among more. I personally believe that Skimlinks is a great affiliate to try out, they're one of my favorites! Glitter Network -- A cross between affiliate marketing and an ad network where you will find many photo banners to post onto your blog. Once someone clicks on the ad and completes the required conversion (Sale or Sign-Up) you receive a set money amount that ranges from 15 cents up to $20, adverage amount is about $1.50-$2 - $20 offers are rare but available at times. CenterPoint Media -- A performance-based media company where I've been able to find many coupon offers as well as freebies and other similar low-cost offers. Postpresso is not only an affiliate site but a content creation platform as well!! One that allows you to create your blog posts around just about any product you want and quickly begin making money from your clicks! Many affiliate sites only pay when a sale or subscription is completed but Postpresso uses CPC (Cost per click) You won't find any products or services that need to be purchased by your readers on Postpresso so you can relax a bit and not worry so much about creating a spammy blog!! Our blogging dreams just got a little bit bigger!! Did I mention that Postpresso also has Post Starter ideas to help you get out of those frustrating writers block moments!! If you would like to give to Postpresso a try - Consider helping a girl out and let me email you an invite. Leave your email and a comment mentioning Postpresso below and I'll get the referral over to you as soon as possible! A network where you can recieve products for review as well as free samples, in return you are ony required to share your options on social media and among friends. Currently accepting self-hosting blogs only. Schedule your Social Media Posts in style with Buffer! Once you become a member of Buffer you'll start noticing the option to "buffer" just about everything - Including- Social Media Posts, highlighted words/phrases and so forth! Not to mention being able to take advantage of their handy-dandy link shortener! Buffer has save me so much time that I no longer use any of the other sharing options that other networks offer!! Join Buffer Today and Stress Less Over Scheduling! Do you know of any other money makers that may be missing from my list? Great list....found a few new ones to me.